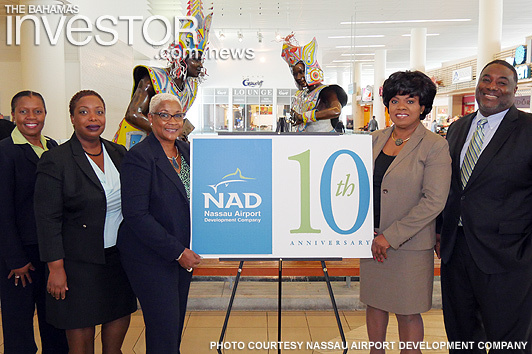 This year, Nassau Airport Development Company (NAD) will mark its tenth year operating Lynden Pindling International Airport (LPIA) under a management partnership with Vantage Airport Group (formerly YVRAS). On April 1, 2007, NAD took over all commercial operations at LPIA inclusive of the terminal buildings, parking facilities and runways. Since the transfer of operations to NAD, the airport facilities underwent a complete three-terminal, $409 million redevelopment transforming LPIA into one of the most modern and efficiently operated airport gateways in the region. Over the past decade, more than 30.5 million passengers from 67 domestic and international destinations have flown in and out of LPIA. The country’s busiest airport served more than 3.29 million visitors in 2016 and safely handled over 81,000 aircraft takeoffs and landings. Under NAD’s management and through a robust air service development programme with partners at the Ministry of Tourism, Nassau/Paradise Island Promotion Board and other industry stakeholders, LPIA’s total number of seats into the destination saw a significant increase. Glenys Hanna-Martin, Minister of Transport & Aviation congratulated NAD on LPIA’s success. “The redevelopment of LPIA has proven to be a most significant benchmark in the overall development of the Commonwealth of The Bahamas,” Minister Hanna-Martin said. 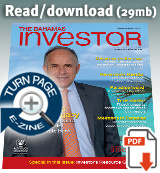 “Ten years ago, The Government of The Bahamas set a course to deliver a world-class airport, and chose Vantage Airport Group as its partner to help bring this vision to life,” said George Casey, Chair and CEO of Vantage Airport Group.